Our writer talks to East Bay experts about the biggest craze in craft beer. If you can name correctly this "hazy" IPA from a Bay Area brewery, our editor will buy you ... a hazy IPA! When it comes to hoppy brews, American trends typically originated along the West Coast and moved east. Now, though, California beer drinkers can't stop drinking a style of IPA born in New England — but not all hopheads love these new brews. That's because the beers are made through a variety of techniques, varying from novel and innovative to, by some purists' standards, offensive. The beers are generally unfiltered, and they are brewed with yeast strains that tend to leave a suspended murk in the beer. Indeed, the chief characteristic of the emerging style is how the beers look: cloudy as pulpy orange juice. "If you see a line of beers down the bar, the appearance [of a hazy IPA] just jumps out at you," explained Melissa Myers, owner of The Good Hop beer bar in Oakland, which serves a handful of the style on tap. "Three or four years ago, if I put a beer like that on the bar, I'd immediately pull it back and say, 'I can't serve you this — something's wrong with it, it's not fit to drink,'" she said. But not anymore. Hazy "Northeast IPAs" have stormed the Bay Area in the past year. Beer bars and shops like Myers' are carrying canned and bottled examples of the style. And one at a time, more and more local breweries are starting to experiment in making them. Even local-beer godfather Drake's Brewing Company has released a hazy IPA, and more breweries will almost certainly join the bandwagon in 2017. It isn't just the jarring visual quality of hazy IPAs that distinguishes them. Brandon Borgel, the marketing director at Drake's Brewing, says the turbidity of a hazy IPA is really just a secondary outcome of brewing techniques that are intended primarily to enhance aroma without elevating a beer's bitterness. "The hallmark of what has become popular on the East Coast is low bitterness, contrasted by a brilliant tropical fruit aroma and a thick mouthfeel," Borgel explained. 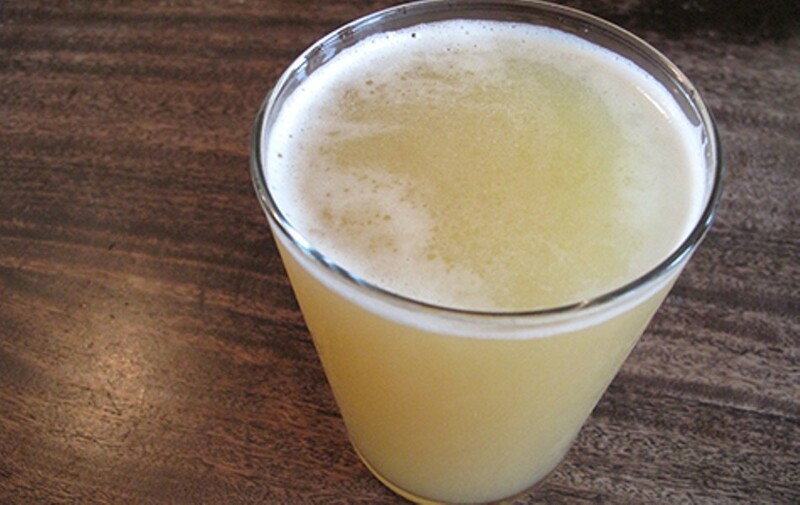 To make hazy IPAs, brewers use English yeast strains that, once done fermenting, leave a hazy cloud in the beer, whereas other yeasts may settle out of the beer rapidly after converting the available sugar into alcohol. Brewers also increase the proportion of hops added to hazy beers after the boiling stage, rather than during it. That's because the boiling process extracts bitterness from hops while destroying their aroma. Late-stage hop additions create an inverse effect: reduced bitterness and livelier aromatics. At Alameda Island Brewing Company, brewer Matthew Fox made a hazy IPA several weeks ago. "We've heard the rumors about brewers adding flour and heavy starch to their beer to make it cloudy, and we didn't want to go in that direction," he said. Instead, Fox used an English yeast, and added a considerable amount of oats and red wheat, which contain lots of haze-inducing proteins. To bring out the aromas and lower the searing bite many IPAs are known for, Fox added hops late in the brewing process. "That helped us bring the bitterness down to the pale ale level," he said. "We were trying to make it as much like orange juice or grapefruit juice as possible." At Drake's, the aroma-to-bitterness relationship has been the focus of making hazy IPAs, Borgel said. He says the floating particulates left behind in the beer by the English yeast strain create a smooth, thick texture that complements the low bitterness of the beer. "Whether or not they're hazy was never really the point," he said. But some say the beer's visual appeal seems to be the main marketing angle. And critics say brewers are using directed measures — some of them controversial — to ensure that hazy IPAs look as muddy as customers increasingly expect them to be. For example, rumors are flying about breweries adding flour, pectin, and cornstarch to their beers to murk them up to expectations. Amid such unorthodox brewing tactics, it isn't surprising that this "haze craze" has at least a few detractors. Vic Kralj, owner of famed beer bar The Bistro in Hayward, says he is happy to see people excited about new directions in the beer industry — but he still thinks that murky IPAs are "a gimmick." "Having all that extra residue in the beer because you didn't filter it doesn't hurt the beer, but I don't think you're getting more nose out of it," he argued, referring to the aromatic qualities of the style. Kralj has not yet served any hazy IPAs at The Bistro, the home of the Double IPA Festival, an annual tradition during Beer Week. This year's event is scheduled for February 11. 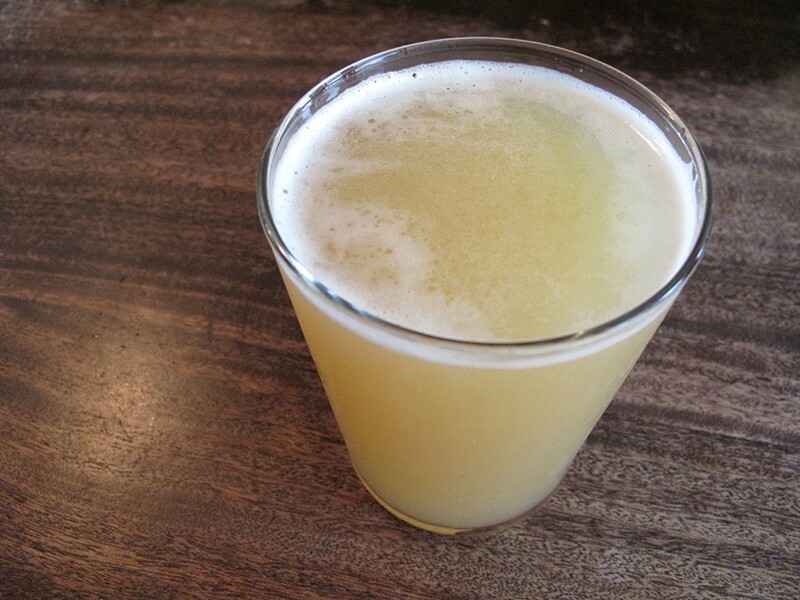 Mike Altman is even less impressed by murky IPAs, and he hopes the haze fades. The owner of Iron Springs Pub and Brewery in Fairfax is also skeptical of the concept of intentionally sending a beer to the consumer in what at least appears to be an unfinished state. "It drives me crazy," he said. "Traditionally, beers were cloudy because the filtration technology wasn't efficient enough to clarify them." To Altman, it appears as if haze-crazed brewers are deliberately abandoning improvements in brewing technology. "Because it's a fad and it sells, people are intentionally lowering the quality of their beer," he said. At Lagunitas Brewing Company, brewer Jeremy Marshall thinks hazy IPAs have a bad rap just for how they look — a double standard in a world of murky hefeweizens and witbiers. "Why can't IPAs be [hazy] as well?" he said. On the other hand, Marshall said that "filtration is an art, and the competition to see who can make the most turbid beer feels like it could be niche novelty." Though a new sight to most East Bay beer drinkers, hazy IPAs have been flowing for almost 15 years in realms farther east. The style seems to have emerged from a brewery in Vermont called The Alchemist, which released a double IPA named Heady Topper in 2003. The sludgy brew became well-known among followers and, over time, gained a sort of cult following on par with that of Pliny the Elder, from Russian River Brewing Company. Borgel observes that some beer drinkers will always prefer clear beer while others will embrace change. "Some people look at our 1500 pale ale, which is perfectly clear and a golden straw color, and they say, 'That's a perfect beer,'" Borgel said. "Others are now looking at a thick, orange, hazy beer and saying, 'Wow, that's a perfect beer.'"